Self care is a hot topic these days… “You need more self care”… “Every busy mom needs this in their life”… blah blah blah. But when you’re super busy, especially if you’re mommy to little kids, this advice is more than just fluffy, feel-good wishes; it’s pretty annoying if it doesn’t come along with an offer of babysitting and a maid to clean your house! While I can’t come over and watch your kids and clean your house while you read a good book and sip a glass of wine while sitting in a hammock (wish I could though!!! I’d totally love to do that for you! 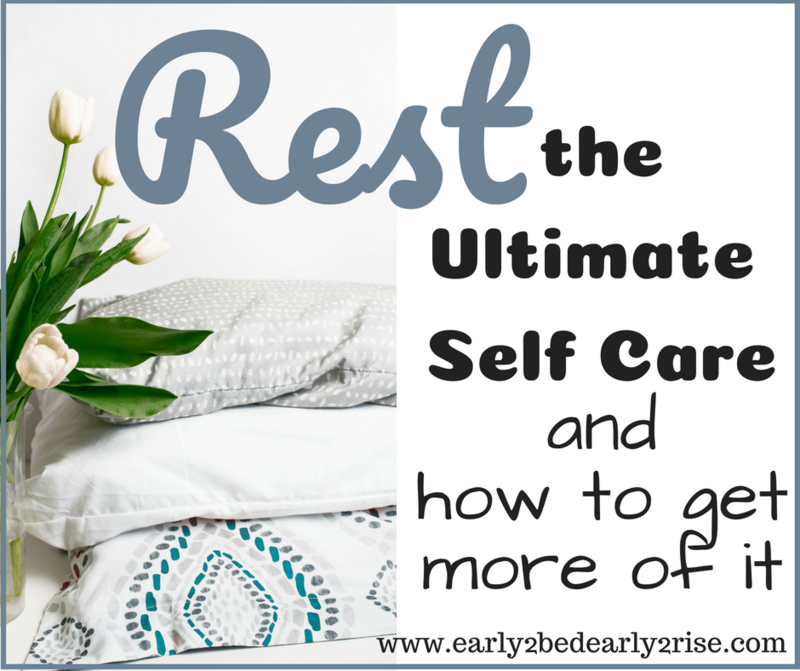 ), I can equip you with some powerful tips, ideas, and products to help you easily sneak in some self care routines and get some more rest! The ultimate self care practice is rest. Self care is all about reducing your stress levels and unwinding so that you are refreshed and ready to tackle your busy life and important goals. And rest is the best way to prepare you for that. How are you doing on rest? It’s so easy to focus on your goals, which translates into where you want to be and the actions that you need to take to get there. Rest is the ultimate anti-action. It feels like the opposite of moving towards a goal. Yet, it can be the exact thing that launches you into incredible, goal-crushing success. You see, we weren’t created for non-stop action. We weren’t designed to run 24/7 on caffeine and no sleep. Our bodies need rest… and when we discover a healthy rhythm of rest, our bodies and goals will thank us. There’s a really vital part of the equation (for weight loss and life in general)– Rest. From an integrative medicine standpoint, your adrenal glands need you to rest. Your adrenals control your fight or flight stress response hormones, and cortisol is one of those essential hormones. Inadequate rest increases those cortisol levels. Elevated cortisol levels are bad news. They’re linked to abdominal adiposity (belly fat), which is highly correlated with a higher risk of developing diabetes, high cholesterol, and heart disease. How mean is that?! Not only are you more stressed (and less rested), but your body is at higher risk for all these miserable chronic conditions. High cortisol levels are also responsible for increased levels of inflammation. Inflammation in the body can result in increased sensitivity to pain (huge for people with chronic pain), swelling (in joints and various other places throughout the body), and worsening of some medical conditions (autoimmune disorders especially). Stressing the adrenal glands can also throw off your circadian rhythms, or natural sleep-wake cycles. When this happens, you can experience super low levels of cortisol in the morning, instead of the natural spike in levels that should signal you to get up and out of bed. That can also lead to late afternoon dips in cortisol levels leading to the dreaded afternoon energy slump. It can further alter your natural cortisol patterns and lead to another increase in this stress hormone in the evening. That makes it harder for you to wind down and go to sleep. Need some quick pick-me-ups that promote good adrenal gland health? Check out these 5 easy ways that are specifically designed to support your adrenals and help you feel better immediately! With increased stress on the adrenals, the thyroid can also function improperly. The thyroid gland plays a large role in the body’s ability to lose weight. The thyroid hormones are one of the crucial regulators to set the gauge for telling your body to lose weight or pack it on to get ready to hibernate. Reverse T3 is produced by the thyroid and it’s actually the hormone that regulates hibernation in bears. This hormone can have huge spikes when you’re stressed and not resting. Yup, you read that right– your body can want to go into hibernation mode when you’re super stressed! The thyroid also can determine your energy levels. A sluggish thyroid leads to fatigue, weight gain, and lack of “oomph” to get things done (ie can contribute to depression and ironically anxiety, too). From a spiritual standpoint, we were created to need rest. The sermon this Sunday at my church was about rest (listen to the whole sermon here). The pastor mentioned that God created Adam, gave him work to do in the garden (name all the animals), and the next day they rested and spent time together. We were designed to work from a position of rest, not work to need rest. God designated one day every week for us to rest. Doesn’t that sound heavenly?! One whole day to just rest and be with Jesus?! Sign me up! At the end of the service, one of the pastors came out and asked if anyone felt like they were the exception to the need for rest. Like rest is good for lots of people, God created the Sabbath for rest, and yet, surely God knows that this season of life is too busy for rest?! I realized that was me. I mean, the Lord knows that I have a baby who doesn’t always sleep through the night and a wonderful and busy 3 year old to take care of (and a husband and a house and so on and so forth). Surely, I’m the exception to this need to rest, right?! Lol, clearly, I am not smarter than God. He wants me to rest. And while a weekly Sabbath rest may not always mean a full night’s sleep for me right now, it does still mean that I can trust God that He’s my Shepherd, that I lack nothing, that He makes me lie down in green pastures, and that He can restore my soul (Psalm 23). And, I can rest one day every week. 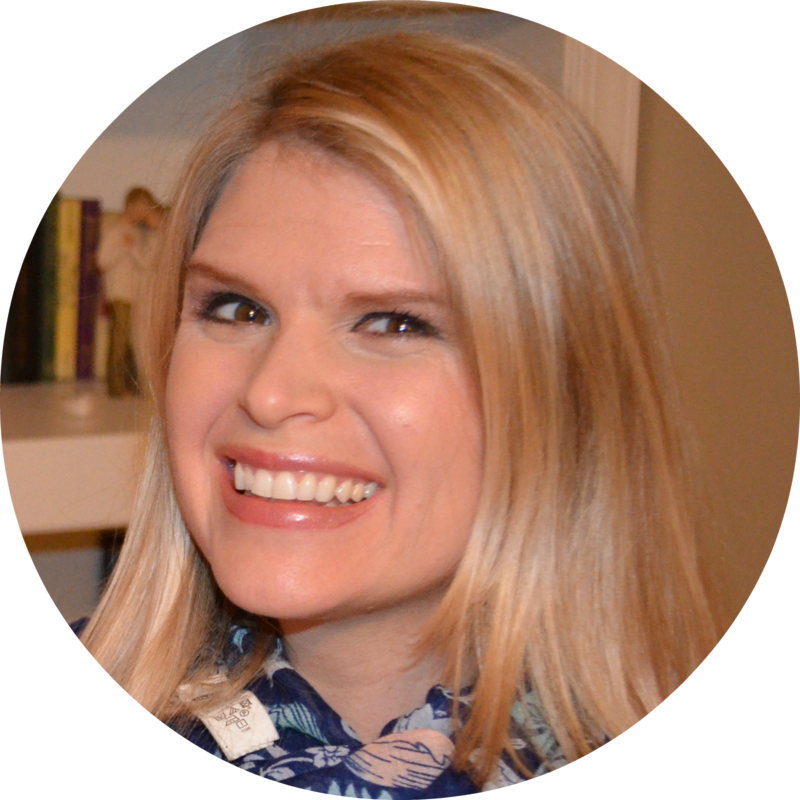 If you want to dive deeper into what a Sabbath rest looks like and how/why God created it, check out this amazing free Bible study by Sarah Koontz! Taking a rest is tough! Ben Franklin knows what he’s talking about. It’s truly a discipline to create a weekly habit of rest in your life! But, you can do it, especially if you invest a little time in preparing for it! Maybe that means a little extra planning on Saturday to get a crockpot meal ready for Sunday. Or, use my new fav trick– we have breakfast for dinner on Saturday night and the leftovers for breakfast on Sunday so the mornings are more peaceful before church. I often use my favorite planner to help keep me on track and get more done in less time. Here’s the planner that I use to keep me on track, and it has focused sections for each day’s top tasks. This planner has a spot for almost all of my daily activities and even makes it super easy to meal plan! This amazing clock has been a game changer for us!!! When she was two, my daughter used to wake up crazy early and stand in her crib and yell until we came to get her. Talk about the exact opposite of rest! When we start using this clock, we gradually changed the wake up time. She went from getting up at 4:30 or 5 to almost 7am in just 2 weeks! Having a schedule for my little kiddos (and myself) has significantly improved my ability to rest! Putting my kids on a set nap schedule has been a good way to get them to anticipate resting at the same time every day, and it gives me some built in rest time from them. My 3 year old and 5 month old nap at the same time every afternoon (not an accident– we trained them to do this). For my 3 year old, we really benefited from the book Healthy Sleep Habits Happy Child to get her on a good sleep schedule. For my 5 month old, we used the Babywise principles (Prep for Parenthood is the Christian version and it’s been absolutely amazing for us!!!). Having a general routine has also really improved our rest. My 3 year old throws less temper tantrums and obeys better when she knows what’s coming next. Having a general routine (we get up in the morning, she plays in her playroom while I prep food, we eat breakfast, we get dressed, etc) has removed a lot of the conflict from our mornings. I usually give her a heads up a few minutes before we go on to the next activity. My Instant Pot is meal prep bestie. It’s prefect for keeping me on track with my meal plans and eating healthy because… I can forget to prep anything in the morning (like pulling meat out of the freezer to defrost) and still have dinner ready for my family. You see, the magic of the Instant Pot is that you can put your ingredients in and get a delicious home cooked meal pressure cooked in 30-40 minutes– even if the meat is still frozen when it goes in! It has all the flavor and juiciness of a crockpot meal in a fraction of the time! Here’s one of our favorite IP dinners– Chipotle Chicken Bowls! We’re gonna practice this real quick. Do me a favor– close your eyes, and take a deep breath. Listen to the sounds around you, and really focus on your sense– what can you smell? What little noises do you hear? How do you feel? What can you be thankful for that you just noticed? What can you enjoy about this very moment? Throughout the day, pause and do that little exercise. Consciously bring your attention to the present moment throughout the day. What little ways can you focus on the present moment in your life? I’m trying to stress less about the baby’s lack of sleep/schedule and snuggle her a little more. I’m trying to remember to make eye contact and just smile into my 3 yr old’s face intermittently throughout the day. And don’t be afraid to redirect your course and make adjustments throughout the day. If your attitude was off at the beginning of the day, the whole day isn’t shot because of it. Focus on this moment and what you can enjoy and appreciate about it. You can change the course of today. You’ll be amazed at how much more rested, intentional, and accomplished you can become by doing this little thing! Gratitude and thankfulness are powerful! And did you know that you can teach yourself to be more grateful and thankful?! Even if you don’t feel it, you can train your mind to change your mood by taking concrete steps. Yup, you literally count your blessings (numbered list and all!). Write ’em down because our feelings and memories get fuzzy. Seeing ’em listed in black and white (lol, or purple and blue if you enjoy the doodling aspect, and there’s good research that shows that doodling and color is good for your mental health and mood!) is so therapeutic. It’s also a written track record of God’s faithfulness to you that you can reference throughout the day when you feel stressed. Here’s my current favorite journal and supplies to make this happen. I’m terrible at doodling but these stencils help me cheat and make pretty pages quickly! The best pens for a pop of color! I’m trying to spend 5 extra seconds while drinking my coffee to remember to count my blessings and trust that He’s got us in His hands. To do this, get up just 5 minutes before your kids or spend a minute or two after they go to bed. Make a cup of warm coffee or tea (decaf if it’s nighttime) and sit down with your journal. You can tell your adrenals what to do. Good adrenal gland function will spill over into improved thyroid health. Seriously, the adrenals are one of the few body parts that you can legitimately boss around. You can tell your brain that it’s not so stressed and that you are okay. This will start to shut down those pathways of elevated cortisol and lead to a better cortisol curve with easier mornings and calmer nights. One of the easiest ways to be thankful is by remembering who God is and what He’s promised you. He’s got the whole world in His Hands. He’s got you, and you can rest in the truth of that children’s song. I love this book of Bible verses arranged by topics. During your thankfulness moment, mediate on a Bible verse or two. Grab your journal, ask God to speak through His Word, and read some verses from the little Bible promises book. Write down one that speaks to your heart, say it out loud, and ask God to make it real in your heart. Reference it throughout the day when stress starts to creep in. When you have adrenal fatigue, it’s super important NOT to over-exercise. Exercising too much will tax those adrenal glands which are already under great strain. Gentle exercise is best to help restore those adrenals to a normal rhythm without further injuring an altered cortisol curve. Try some gentle yoga, Pilates, or the THM Workins (just the first 10 or so minutes as you’re resetting your curve). The exercise will help to improve your mood by increasing your feel-good neurotransmitters. Exercise is also an amazing way to enlarge your capacity to take on stress. I have personally taken all of these supplements or seen their benefits in the lives of my patients. They’re great for promoting restful sleep or repairing wonky cortisol levels. They can reduce your stress and promote a sense of general well being. This supplement is great for gently promoting sleep, and I’ve seen it work really well in my patients. There are studies showing its effectiveness for shift workers who throw off their circadian rhythms by working weird hours. I personally used it when I was working swing shifts in a busy ER, or constantly switching between day shift and night shift. I recommend the immediate release version to help you fall asleep, and a sublingual product (dissolves under your tongue) should kick in faster. If you fall asleep quickly but have trouble staying, the sustained release version should be more helpful for you. Seriously, this stuff is amazing! I’ve been great results in my patients who have used this. Magnesium can help to promote restful sleep by helping to relax skeletal muscles so you’ll feel more rested. A word of caution– start low and go slow with this one! Magnesium can also cause some relaxation of smooth muscle so…err… too much too soon can cause unwanted trips to the restroom as your digestive track relaxes too. Haha, but that makes it a great option for people who suffer from constipation (and the constipation could come from some thyroid dysfunction, which could come from the stressed out adrenals– everything’s related, friends!). Natural Calm is generally thought to be safe to used even in pregnancy. Pregnancy tends to naturally lower blood pressure a little bit. However, if you lean towards super low blood pressure while pregnant, I personally would avoid it because it may decrease bp a little bit and make you feel lightheaded. Magnesium is used in preeclampsia (and eclampsia) treat super high blood pressure in pregnancy, but Natural Calm is, of course, a lower amount and administered differently than those used therapeutically in the hospital. Over 80% of your neurotransmitters (your feel-good hormones) get their start in your gut. Good gut health leads to good, calm mental health. You can take good, quality probiotic pills as a quick way to jumpstart the good gut flora. Dr. Ohhira’s are another one of my favorites for quality and bioavailability (how well they’re absorbed). Be sure to take probiotics at bedtime, as they absorb better this way. You can also get some probiotics in by drinking kefir or taking a high quality whey protein supplement at bedtime. Turmeric is absolutely fabulous for the adrenals! I love it because it’s an adaptogenic, which means that it can adjust your adrenals for what they need. It helps to turn down the abnormal peaks of cortisol and to bring up the low ones. It’s generally safe to recommend to anyone with adrenal issues even if I haven’t seen your specific lab results (vs like taking an adrenal gland supplement, which you would need to be more careful with and you’d have to see test results and your health care provider to better advise). Taking turmeric supplementation in food is a very gentle and safe way to incorporate it into your day. 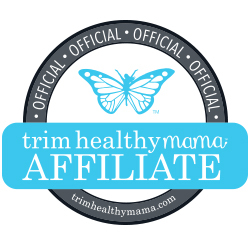 Think delicious curries (my favorite is the Curry in a Hurry Soup from the Trim Healthy Mama Cookbook or the Curry recipe from Trim Healthy Table). You can also make this amazing turmeric tonic, which is a great natural way to boost your energy and support your overall health and sense of well being. Self care at its natural finest! When you need something right in the moment that you feel the stress creeping in and think you might lose it, think of L-Theanine. This compound is found in green tea, and it helps to naturally calm you down. When you don’t have time to escape and take a luxurious bubble bath, consider trying a cup of green tea. If you feel like you’re about to blow and just need something right this instant (like when dealing with toddler tantrums, anyone?! ), a sublingual L-Theanine tablet can do just the trick to get you calmed down in a hurry. 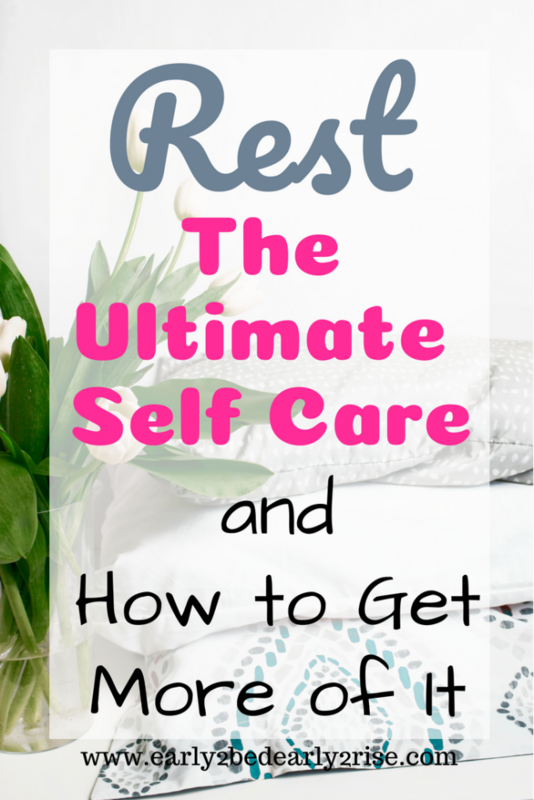 Rest is the ultimate self care tip. Incorporating it into your routine is essential for overall health, wellness, and even weight loss. How are you resting, my friends? 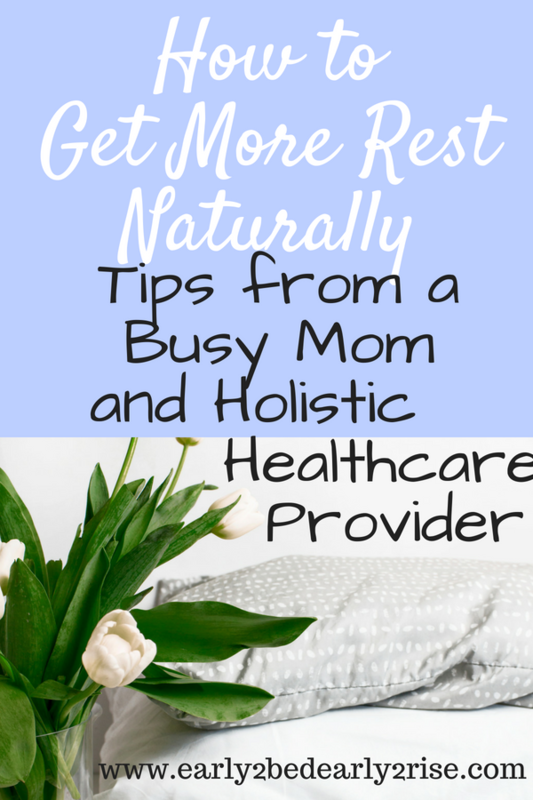 What are your favorite ways to rest or some of the most restful things that you do?